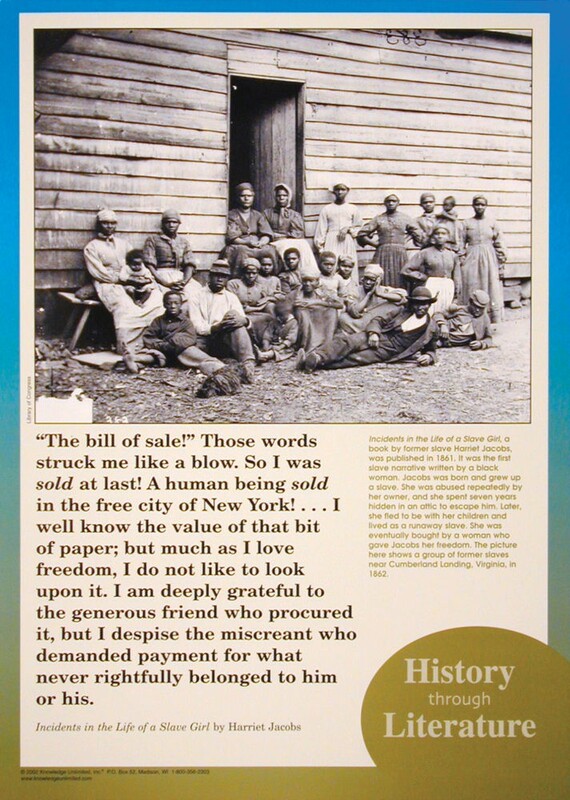 This poster connects Harriet Jacobs' "Incidents in the Life of a Slave Girl" to the period in history that is dealt with in the book. This book was the first slave narrative written by a black woman. 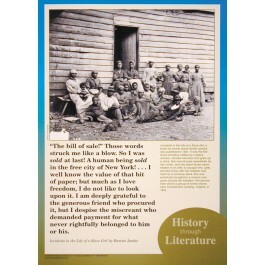 The poster contains a historic photo showing a group of former slaves near Cumberland Landing, Virginia, in 1862, along with explanatory text that illuminates the connection between literature and history. It also contains a quote from this classic work.